Hello Döner Fans. And Happy New Year. There are many reasons why Dr Döner does not post often. One of these being that he is too vintage/stingy to own a smartphone and must therefore rely on dining companions to take snaps, or either lug his own picture-taking apparatus with him each time he goes to buy a kebab. Please do not think that the lack of posts equates to a lack of döner being consumed, oh no! The truth is that on many occasions eating döner is a private affair: the quick kebab on the way home from work, the solitary lahmacun stuffed down hurriedly on the way to a party… Thus the backlog of unwritten reviews grows ever longer. However, on a sunny afternoon in February, I Dr Döner sought to rectify this matter by going out to eat kebabs armed with my very own camera. The following is what occurred. The Sprengelkiez, where our tale takes place. Sadly vandalised. As you can see the quality of the images has suffered. Anyway, I went to the Hakiki döner hatch, which nestles under one of Wedding’s many casinos. I have in fact visited Hakiki with my custom many times before but I have never bought one of their döners. No, I have always been drawn instead to their sumptuous halal Currywurst, which is a delight for all 5 senses. But upon the recommendation of a friend, I went out to sample their kebab. I was served by three men who seemed to be sandwiched quite uncomfortably into the narrow confines of their döner-hut without much elbow room. On previous occasions they have always been very friendly with me, so I will overlook their slightly indifferent demeanour on this particular outing. I ordered a döner and then juggled with my camera in order to take another atmospherically-blurred picture. The Sprengelkiez, which is the up-and-coming area in which Hakiki is fortunate enough to be located, is rightly known for its cuisine. It is a little like Kreuzberg, minus some of the fun. Anyway, I took my döner back to Döner HQ (my house) and consumed it in the Döner Lab (the kitchen). I hadn’t been expecting much, but I was very pleasantly surprised by my Hakiki kebab! I think it must have been the sauce: I ordered Kräuter and spicy, and one of them was especially delicious, earning the whole affair an extra döner-point from me. The salad was fresh and the meat was tasty. Well done, Hakiki! Dr Döner will return. “hakiki” [ha-kee-kee] is Turkish for something like “the original” or “the one and only”. Fancy that! Dear readers. I will keep this short, for I have a bad taste in my mouth. I was in Glasgow on business last weekend, and as business demanded I was dragged out to explore the city’s nightlife. Needless to say, these adventures ended with a search for kebab. As I have mentioned before, kebabs in the UK are notoriously bad. There are few things quite so ball-squeezingly awful, if you’ll pardon my turn of phrase, as the sad, soggy offerings of British kebab vendors. Indeed it is hard to find the mot-juste to describe such an experience. I regret that I nonetheless purchased a kebab on that cold and rainy night, in full knowledge of the consequences. Towards 1am, a fellow reveller and I stumbled into the neon clutches of Café India and I ordered a Small Doner for the princely sum of £4.50. The establishment in which we found ourselves had taken measures to stamp their own personal touch onto the classic döner meal and had chosen to serve their sweaty, non-descript meat in Indian bread fresh from the oven. A few sad bits of salad were strewn over the rapidly-congealing mass and a rude squirt of garlic sauce was then farted onto it out of a big plastic dispenser. This was all packaged into a sticky polystyrene box and promptly handed over. I took it home, opened it, and it was disgusting. Perhaps the images speak for themselves. I leave you a disgruntled, bitter man and hope that this post will serve to help others learn from my mistakes. Hello again, Döner Fans. I hope this finds you on top form! Those of you who are familiar with Berlin will no doubt have passed through the throbbing transport hub that is Friedrichstraße train station, and will know that, on a typical Friday evening, all manner of life can be observed there. Yes: delinquents, ne’er-do-wells, ragamuffins… They all congregate in this bustling central hotspot to start their evening. 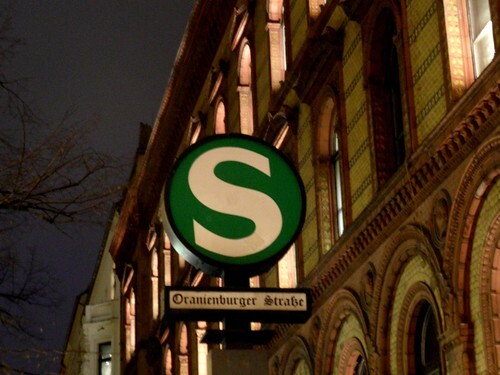 And in true Berliner fashion, an assortment of late-night eateries have also sprung up to cater to the meaty needs of the late-night reveller. I could tell you about Bier’s Currywurst shack under the railway arches, where one can buy a tissue-full of Berliner Currywurst along with a 210€ bottle of Moët & Chandon with which to wash it down. Do not ask me why the two are sold in conjunction. I do not know. Anyway, it was while on a late-night quest to buy groceries from the local Rewe that I stumbled upon a kebab hut whose aromas were so tantalising that I could not help but approach. I give you Friedrichstraße’s finest döner emporium: Prime Kebap. I am not sure if you are meant to pronounce ‘Prime’ as in English or as in Italian (though Italian would be slightly pretentious). Located slyly at the entrance to Rewe City, Prime Kebap offers the vagrant diner a fine choice of fresh-looking salad and kebab meat. I took a chance and ordered a döner, and the gentleman proceeded to lash his sauces into a hunk of bread and then bestrew it with onions and kebab meat. Not wishing to miss any of the nightly revelry, my photographer and I parked ourselves on one of the sticky, white benches outside the hatch to enjoy our gains. It was, I have to say, a very satisfactory kebab experience, with ambience provided by the busking saxophonist nearby, the drunk students and the late-night Rewe shoppers, who are always a sight to behold. The kebab was a little pricy for what it was, but that is what one must accept in Friedrichstraße. The only downside was the glaring absence of Moët & Chandon to wash it down. We settled for some Jules Mumm instead. Photography courtesy of A. P.